Roseanna Kane Crawford Sounds like a great class, I could really use the help to thin out my stash of paper, Thanks. Congratulations! Please send me an email (link's in the sidebar--->) and I'll get you set up in class asap! 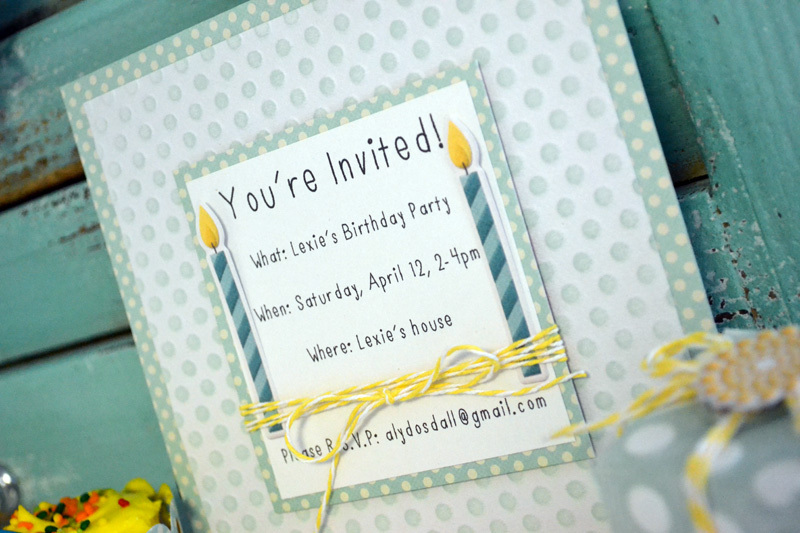 This week is Birthday Week on the We R blog, and here are some projects I created to share. 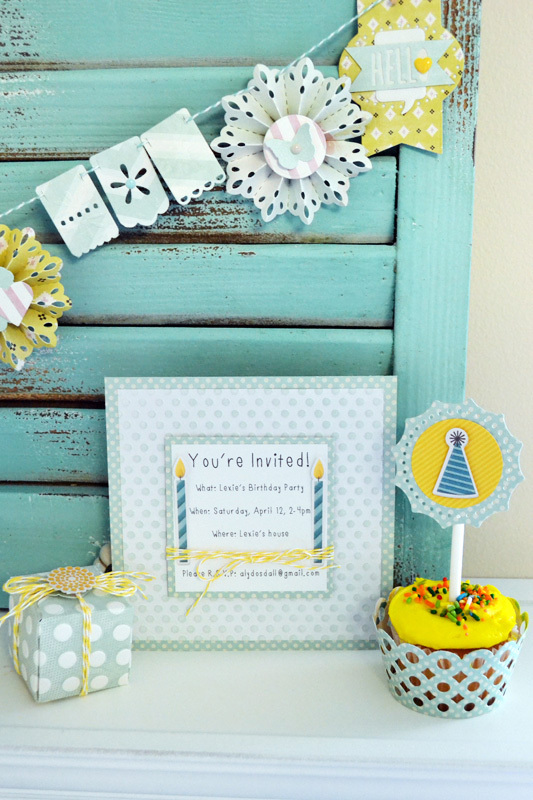 First off is a dot-themed party set. Picking a design theme to carry through all your party paper crafts is a great way to create a sense of unity and cohesion at your party. 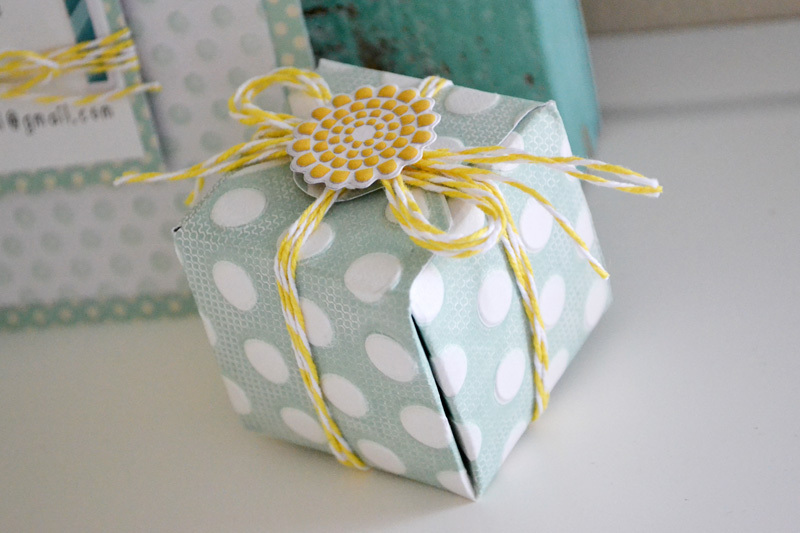 For this set I chose a dots theme and repeated that pattern throughout my projects. To create the gift box I dry embossed a piece of 6x6 textured cardstock after I had used a brayer to coat the inside top of the embossing folder with ink. 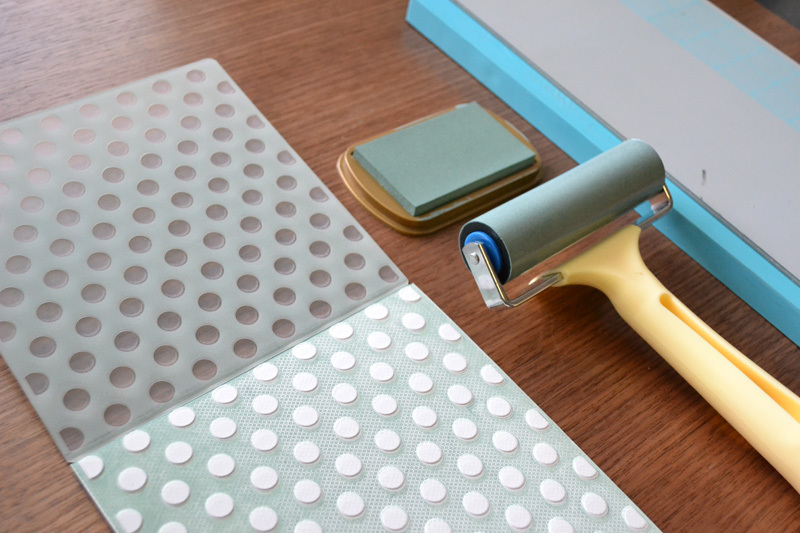 Designer Tip: the ink cleans up easily with a baby wipe, or by rinsing the folder thoroughly in warm water. For the invite I used another inking technique to get the opposite effect. This time I dry embossed a 5 1/2 x 5 1/2 inch piece of textured cardstock with the smaller dot embossing folder, and then I gently rubbed my ink pad directly over the raised design. 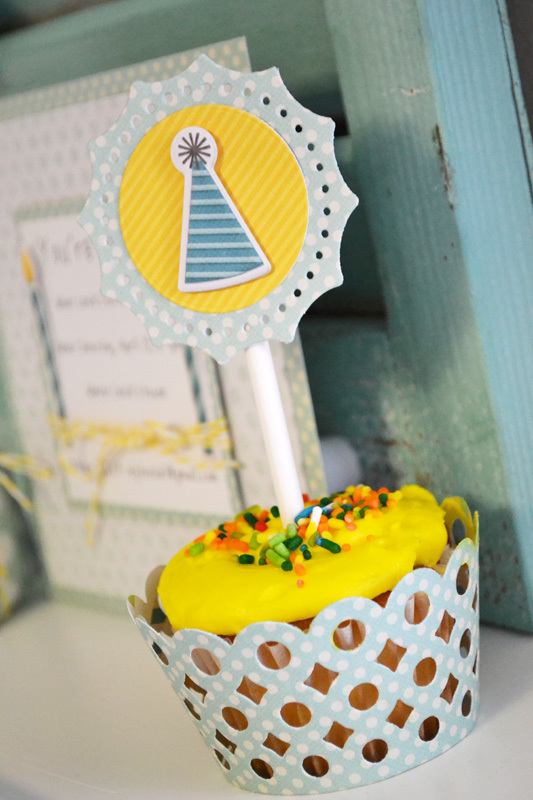 And here's the cupcake liner and topper. I carried the dots theme through these as well. 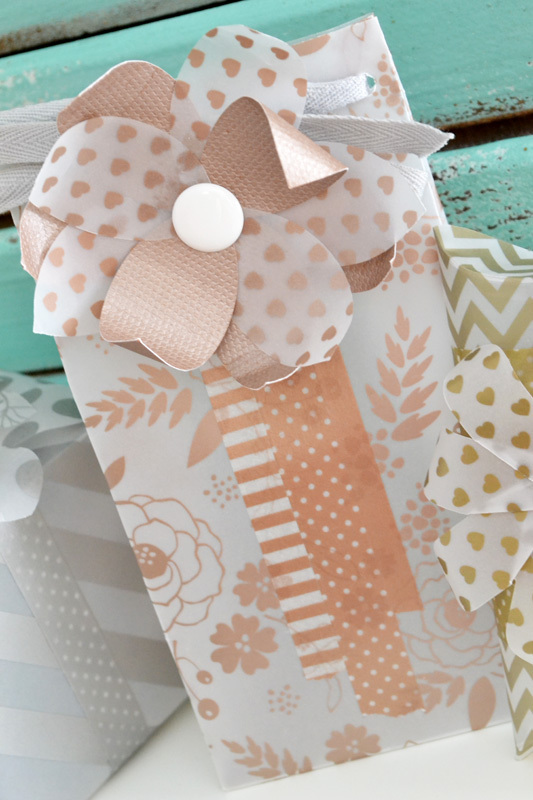 Making fabulous party favors is quick and easy with the popular We R Memory Keepers Punch Boards, and now embellishing them is easy too with the new Flower Punch Board. 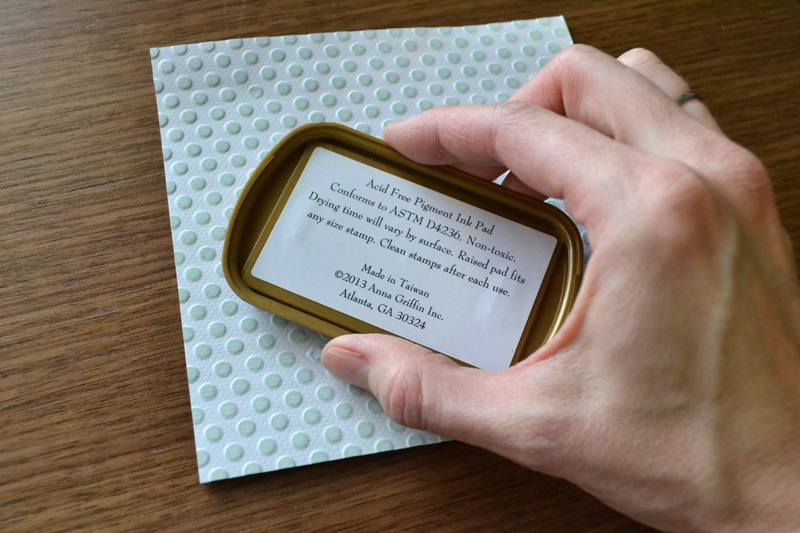 Take a look at the vellum favor containers I created below. To create these I combined some of the older Punch Boards with the new Flower Punch Board. 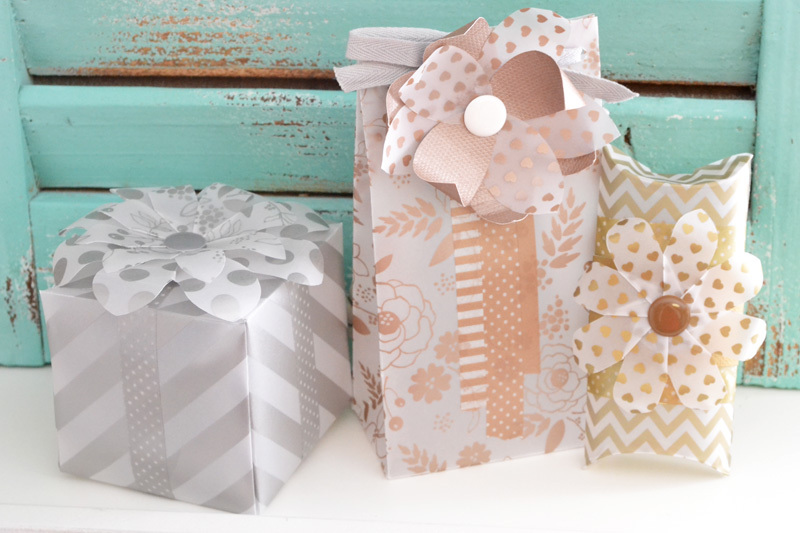 Those together with some vellum papers from the Sheer Metallic Vellum Pad make for some beautiful birthday favors or gift boxes. I love the semi-sheer quality of the vellum paper--it intrigues the gift receiver but doesn't give away the surprise! To create the flower on the gift bag I used the reverse punch feature of the Flower Punch Board to make them into leaf shapes that I put together into a flower. Curling the leaf-shaped petals toward the center with the curling tool gave it a different look. For more details and photos, visit the We R blog HERE.